Baseball was my dad’s favorite sport and as such he introduced it to us kids at a young age. In addition to watching, Dad umpired for Little League games. So I grew to love baseball too. 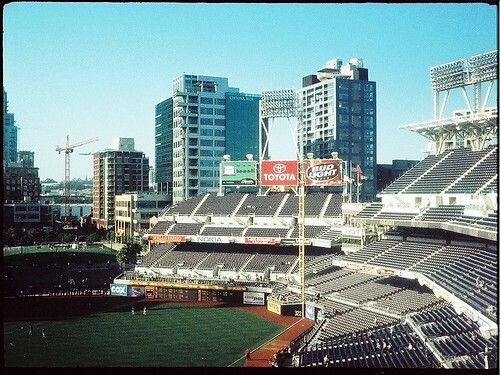 Our local team, the San Diego Padres, are leading their division and league as I write this post. The best part is that locals had no expectations for this season. We have new owners, general manager, lots of new players and it’s a low-budget team. They believed in themselves and are executing. I am not thinking we’re going to win the World Series or even the division pennant. It sure is fun to be doing better than expected and watching baseball in the Spring. I was back to my usual reading schedule this week and had a hard time winnowing down to the articles here as there were so many good ones. I hope you enjoy them as well. It is graduation time at many colleges and high schools. Share this article about college grad money mistakes from Redeeming Riches with your favorite graduate. Use this great flow-chart (okay I’m a geek) from Car Negotiation Coach to determine what to do with your old car. He’s got every scenario covered. You’ve heard the saying, “time is money”? The Amateur Financier shares how to manage both successfully. He shares five time management basics. Is there a job you think is so great that you wouldn’t need to get paid? Financial Samurai tells us his list of dream jobs. Mine is being a cruise ship singer. If only I could sing! Hope to Prosper uses four real life stories about security and managing risk successfully. Very compelling examples! Gather Little by Little maintains that a little child labor is good for the children. I agree and was very moved by this tale of how hard it must have been for the parents to enforce childhood chores. I questioned whether baby boomers know where to look for jobs in these times. Own the Dollar writes about how to find a job on LinkedIn. Did you see the movie “Up in the Air”? Money Reasons points out the financial lessons in the movie. If you haven’t seen it yet now you have another reason to rent it. Thanks a million for including my post. I grew up a Dodgers fan in the Inland Empire. But, I moved to San Clemente in the ’80s and became an Angels fan. I watch a couple of Padres games a year with my aunt and uncle, who live by SDSU. Petco Park is awesome and I am so glad your team is doing better. They were painful to watch last year. I think Eckstein brought you some luck. Bret, your Dodgers just swept my Padres. I was afraid of jinxing them! You are right about Petco Park. It’s a great place to watch a game. I hope your vacation went well, loved the picture that was on your site! .-= Money ReasonsÂ´s last blog ..How I Got A Deck Table And Chairs For 25 Percent of The Cost =-. The vacation was great! I’m glad you liked the picture. It was our favorite stop.